Below you can view all the highrises for sale in the Ansley Above The Park subdivision located in Atlanta Georgia. Listings in Ansley Above The Park are updated daily from data we receive from the Atlanta multiple listing service. To learn more about any of these highrises or to receive custom notifications when a new property is listed for sale in Ansley Above The Park, give us a call at 404-998-4063. Two Private Entraces; One On The Main Level And One On The Second Floor Make Access And Privacy A Breeze! MLS#6534036. Compass. Enjoy The City Views Without The Fuss And When You Want To Get Out And Enjoy The Day, Everything Is In Walking Distance! MLS#6527103. Keller Williams Realty Intown Atl. Live Life Vibrantly As You Are Greeted By 24/7 Concierge, Enjoy Hot Days At The Pool, Gaze Over The Park On The Rooftop Terrace Level, Work Out At The Gym & Keep Company Separate With The Guest Suite. Welcome Home! MLS#6526084. Engel & Volkers Atlanta. Amenities Include Fitness Center, Community Club Room, 2 Assigned Parking Spaces, 24-Hour Concierge, And Ample Guest Parking. MLS#6525346. Atlanta Fine Homes Sothebys International. 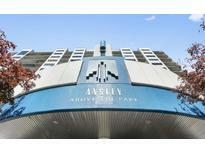 Ansley Above The Park Features 24/7 Concierge, Pool, Roof-Top Terrace Level, Gym & Guest Suite. You Won'T Want To Leave! MLS#6522410. Keller Williams Rlty-Ptree Rd. Hoa Fee Includes Internet, Directv, Water, Sewer, Trash, And Full Amenities To Include 24/7 Concierge, Pool, Roof-Top Terrace, Gym, And Guest Suite. A Must See! ! MLS#6521563. Ansley Atlanta Real Estate, Llc. A Valuable Bonus Provided By 24/7 Concierge, Pool, Roof-Top Terrace Level, Gym And Guest Suite. Storage Unit. MLS#6512311. 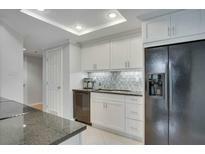 Re/Max Metro Atlanta Cityside. Directly Across From Botanical Gardens, Min To Midtown, Piedmont Park, Beltline. Walk To Shops And Restaurants! MLS#6507055. Atlanta Fine Homes Sothebys International. Nestled Between Morningside And Ansley, The House Is Less Than 1 Mile From Piedmont Park And The Buford Highway Connector, And A 1/2 Mile Walk To Restaurants, Groceries, The Gym, And The Ansley Golf Club. MLS#6504782. Halstan Realty, Llc..